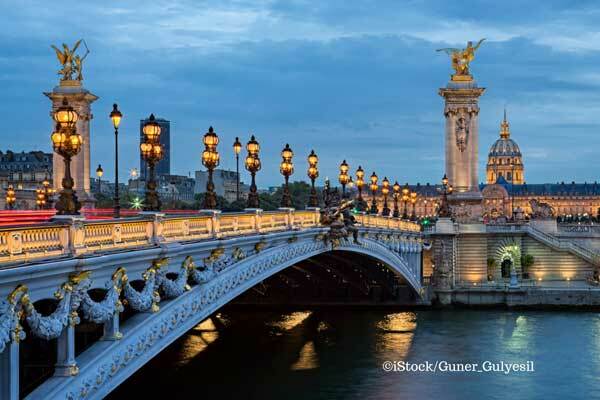 France is a country beloved by many, but Paris is the glittering jewel in France’s crown. For millions of people, the City of Light embodies the ultimate in romance, elegance, culture, and all things beautiful and refined. Almost every passion can be indulged here. Whether you’re a history or art buff, a wine fanatic or a fashionista, an impassioned foodie or someone who simply enjoys watching life unfold from a café terrace, you can find your home in Paris. With an average of 18 million visitors every year, Paris is one of the most visited cities in the world–and one of the most cosmopolitan. Thousands of foreigners resettle in Paris every year, each seeking to drink in the city’s charms and discover what it truly means to live as a Parisian. If your vision of an ideal retirement would be having your pick of a whirl of cultural events, restaurants, and fascinating activities at your fingertips, Paris would be a paradise for you. It is simply impossible to be bored here: nearly every day offers a new museum exhibition, a restaurant or boutique opening, or some fascinating little corner to discover. The city is both timeless and ever-evolving. Your job as a transplanted Parisian is to embrace the richness of the city in all its many flavors. Being a big city, you won’t need to bother with having a car. Paris has an extensive metro system, a sleek tramway, and a multi-armed network of buses that reach all corners of both the central and suburbs. You can buy a monthly pass for unlimited rides on all public transportation for $90. Seniors are eligible for a discount that varies according to income. Medical care in Paris is top-notch. The city is home to 39 public hospitals and several private ones. You can easily find English-speaking doctors, whether in the public or private sector, but particularly at the Hertford British Hospital and the American Hospital of Paris, two private hospitals in the Parisian suburbs. Most hospitals have the latest equipment and technology, as well as access to some of the best specialists in Europe. Americans can be eligible to apply for the national healthcare system if they’ve lived legally in France for three consecutive months and can show that their intent to become legal tax residents of France, living there at least 183 days per year. If you belong to the national system, the amount you pay is roughly 8% of your income over a certain threshold. If you don’t belong to the national health program, then you must be covered by private insurance to legally live in France. Some expats choose to take a comprehensive hospitalization plan, then pay out-of-pocket for medications and doctor visits. A visit to a general practitioner can be as low as $42. The French are legendary for their enthusiasm for the pursuit of pleasure and relaxation. Even though Paris is high-energy, you’ll still find the rhythm of life more laidback in most major cities. Mealtimes, even weekday lunch breaks, are relaxed enjoyable affairs where food is savored and the company of others appreciated. Weekends are often spent enjoying the charms of the city and the nearby countryside. And locals never hesitate to take full advantage of the five weeks of annual leave allotted to them by law. When you live in Paris, you slip into these easy rhythms as well. As mentioned above, Paris offers a wealth of fun and fascinating diversions. What makes this even more enjoyable is that there’s a large English-speaking community with whom you can enjoy these activities. There is no shortage of Anglophone meet-up groups for varied interests, from wine-tasting to hiking to traveling. Speaking of traveling, it’s incredibly easy to explore both France and Western Europe from Paris. Paris’ Charles de Gaulle airport is a main hub for international flights and you can reach numerous major cities–London, Madrid, Florence, Berlin, Geneva, and Lisbon–in less than 90 minutes. Not a fan of flying? Take France’s high-speed train, the TGV. You can be on a beach in the sunny south of France within three hours or eating tapas in Barcelona in six. Real estate in Paris is expensive, no question. In the most fashionable neighborhoods in the heart of the city, expect to pay at least $365,000 for a small (398 square foot) one-bedroom place. 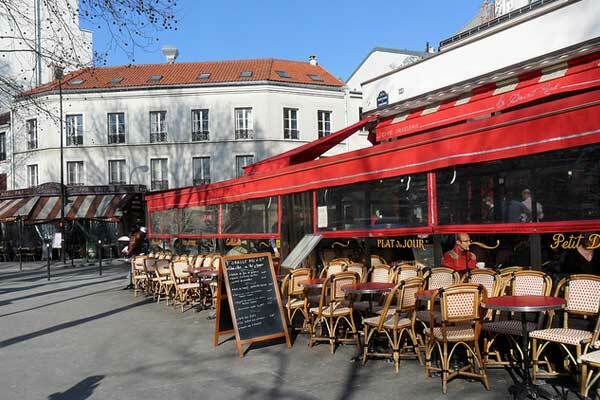 For better value, look at reasonably central neighborhoods that aren’t as touristy, such as in the 10th arrondissment, near Republique and the Canal St. Martin, or the discreet residential neighborhood in 12th arrondissement near Nation. Rentals are also pricey but are competitive with many major American cities. Here, you can get a fully furnished, one-bedroom unit with stunning features–floor-to-ceiling windows, hardwood floors, decorative moldings in a classic 19th century building starting from $2,110 per month. A one-bedroom with less classic details may cost around $1,688. The good news is that very few areas of Paris are considered “unsafe” or otherwise undesirable. What’s more, even if you live at the outer edges of the city, it’s fairly quick and easy to get to almost any central area. The high cost of real estate aside, living in Paris is not as expensive as its reputation would lead you to believe. In 2017, the Mercer Cost of Living Survey ranked Paris as the 62nd most expensive city in the world for expats. (For comparison, Sydney ranks 24th, London 29th, Hong Kong 2nd, and New York, 9th). Paris offers countless events and activities that don’t cost a cent. On the first Sunday of every month, all the museums in the city are free. Many popular museums and landmarks, such as Notre Dame Cathedral, Sacre Coeur, and Musée Carnavalet are free year-round. Of course, the best museum of the city is Paris itself. It’s a wonderful thing–and free–to simply stroll around admiring key sites in French history and the city’s beauty. Eating out also isn’t that expensive. Sure, you’ve got Michelin-starred restaurants such as Tour de l’Argent, where lunch prices start at an eye-watering €105 ($129). But at your average bistro or café, you can get an excellent three-course lunch for as little as €25 ($31), including a glass of wine. At a café, expect to pay about €12 ($15) for a healthy slice of freshly-made quiche and green salad. The weather in Paris can be mercurial, with temperatures sometimes dramatically rising and falling within the course of a day. Locals know to wear layers. Still, extreme weather conditions are unusual. Summers tend to be warm with daily temperatures in the mid-to-high 60s F, occasionally reaching into the 80s F. Winters are grey and wet, usually under 50 F but rarely dropping below freezing. Spring, a favorite of romantics, tends to be wet and cool, while autumn is the most ideal time in Paris. There’s usually little rain in September and October and plenty of golden sunshine.